If you are a dog owner, you already know just how tricky finding things for your dog can be. This occurs because the market is overloaded with countless products that you know little about. When making a purchase of this type, you should consider the needs of the pet as well as the practicality of the item. To help, we have prepared a selection of ideas that you might want to take a look at before making up your mind! If your pet has been shedding lately, and you are in need of a product that can help you deal with the issue, this model sold by Furminator might be of help. This choice features a stainless steel edge that one can use to reach through the topcoat of the dog effortlessly. As a result, you can remove undercoat and loose hair easily without damaging the coat or cutting the skin of the pet. This option has an ergonomic handle that makes it comfortable and easy to use. Additionally, it is safe to know that this tool is best to be used with small dogs that have short hair and that weigh less than 20 lbs. Another choice that you should consider is this crate developed by MidWest Homes. This option is made of metal, and it measures 48L x 30W x 33H inches. As a result, it is suitable to be used with large dogs that need the extra space. What is more, the product comes provided with a free divider panel as well as with a sturdy dog tray and a carrying handle. To make it easy to transport, the manufacturer has designed it to include roller feet that won’t damage your floors. The model is easy to assemble, and it features two slide-bolt latches on each door so that your pet will stay inside it. If you want to purchase treats that are good for your dog’s teeth, these dent chews are what you need. They are perfect for pets that weigh 25 to 50 lbs. Each of the 36 included treats has a unique texture that cleans down the gum line of the pet. Consequently, tartar and plaque won’t be an issue anymore. According to the seller, these treats have been vetted by the Veterinary Oral Health Council and, thus, it is safe to conclude that they are beneficial for your dog. The choice was made using natural ingredients that are easy to digest and that nutritionally complete the diet of your fluffy friend. This feeder by Outward Hound might also interest you if you are trying to make your pet eat slower. In fact, the model can help your pet eat ten times slower than usual. As a result, it can improve digestion as it enables the dog to actually search for food through the mazes and patterns that it includes. This model is sized small, and it can hold up to two cups of food at a time. Moreover, it can be used with both dry and wet food. The choice has a non-slip base, and it was made from non-toxic materials that are BPA, Phthalate, and PVC-free. These containers are ideal for storing dog or cat food. Because they have snap-lock latches and airtight seals, the units can keep the food protected from moisture and pests. Even more so, they come supplied with a scoop that one can use to measure food. These bins are made from a BPA-free material, and they have rollers that allow the user to transport them effortlessly from one room to another. Additionally, these containers are quite sizeable. The larger one can store up to 25-pounds, while the smaller one fits up to 10-pounds of food. Because they are translucent, you can always determine the quantity of food that is left. If you are trying to train your pet, this bag of treats might be of great use. The included treats are bacon flavored, and they are perfectly sized to be used for repetitive rewards. On top of that, the bag comprises over 200 treats that you can use. So, it will last quite a long time. The option was made using natural ingredients, and it is effortless to carry in your pocket. This choice stands out because it is low-fat, as each treat has 1 and ½ calories. Hence, you should not worry that your pet’s diet will be compromised. 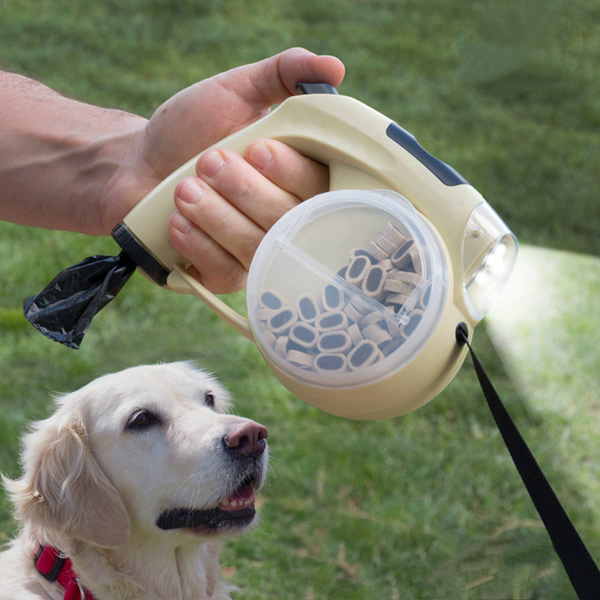 If you like traveling with your pet, this next collapsible bowl might suit your needs. The item is easy to clean, and it is said to dry fast. Additionally, it is suitable to be used with both food and water. In total, it can hold up to 48 oz of water. Another aspect that makes it worthy of your time is that it is portable. Consequently, you will be able to carry it in your backpack no matter where you decide to go. Differently from similar counterparts, this model is said to be leak-free. Most of its prior buyers were happy with its quality, and they warmly recommended it. If you enjoy water sports and you would love to have your pet accompany you during your adventures, this life jacket might stir your interest. The item features two rescue handles, and it was constructed using foam panels that guarantee its buoyancy. Moreover, this choice has a secure neck float that keeps the head of the pet above water to ensure safety. Because it has a bright orange color and because it features reflective piping, this jacket is easy to see from a distance. As a plus, you can use it as part of one of those fun dog costumes that are so popular now. Another alternative that you should check out is this nail grooming kit sold by Dremel. 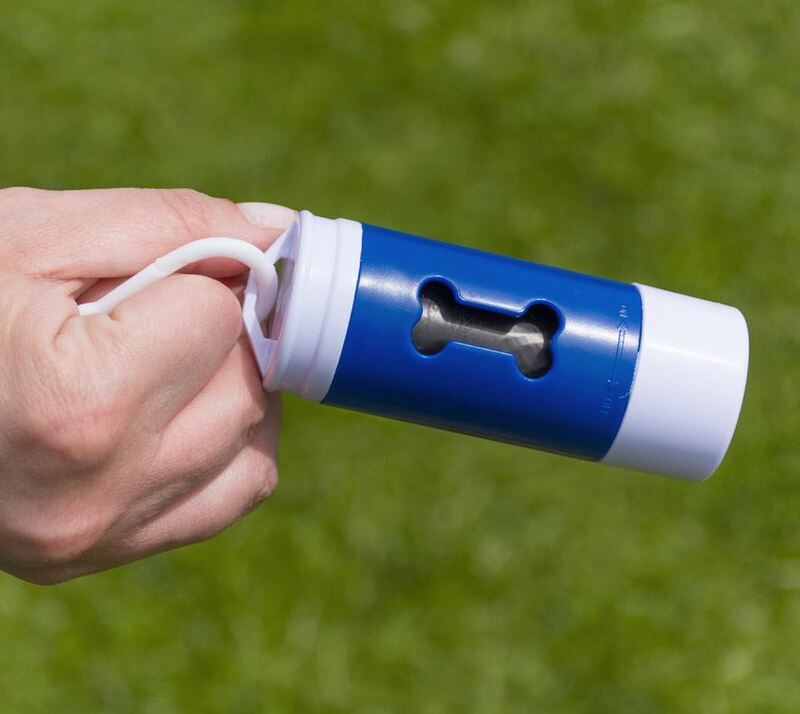 Because it has a rotary head, the model is considered safe and effective and, therefore, easy to be used with pets that hate having their nails chipped in the traditional way. The option provides the user with two rotation speeds that one can use to grind the pet’s nails in stages. What is more, this device runs on batteries. Because of this, you will no longer have to deal with having a cord that is getting in your way. Lastly, you should know that this option is compatible with various sanding drums and bands also sold by Dremel. If you are in the market for a nose and paw treatment for your pet, this product might be just what you want. This lotion includes natural ingredients such as rosemary and olive oil, and it is said to be safe to be used with both pups and adult dogs. The model is efficient when utilized to repair and restore your pet’s paw pads and dry nose. To see results, you should apply it regularly to the bridge of the dog’s nose and on its paws. Because its formula is pH balanced, this lotion is safe. Also, it has no fragrances, sulfates or harsh chemicals. Being a dog owner often means having to research the best solutions for your animal, whether they concern the most optimal food choices, types of exercises for your little buddy or just everyday issues such as the following product you could buy to enhance your little friend’s lifestyle. Depending on your dog’s needs and your preferences, there are a series of factors that you should consider before making a purchase. Most of the times, this would mean doing your research and getting to know the types of products that benefit your pet. But before getting into specifics, there are a series of important factors that you should take into account when researching the best dog products. And sometimes dog product reviews are not the most reliable source of information, because of all the dog gadgets and new dog gifts that have crowded the market. Among the things that you should look for in the best products for dogs, safety issues and the usability of these products are some of the most important criteria. Considering the variety of products for sale, before deciding on the type of product that you want to purchase, you should narrow it down depending on a series of criteria that can ensure quality. Before making a decision about your purchase, you should consider the most important factors that should weigh in your decision. As this may come off as more complicated than it sounds, we’ve put together a buying guide to help you go through the most relevant points. Just like no two humans are alike, your furry animal is different from any other being walking the Earth. At the same time, taking a close look at a dog’s breed can help you better understand some personality traits and inclinations that you may find useful in shaping the direction of your decision. Undoubtedly there are tens of thousands of dog products out there, but this doesn’t make your decision any easier. Instead, you should think of your dog’s breed as the kind of constraint that can actually help you make better decisions for your pet. When analyzing the dog breed’s type and characteristics, you should pay attention to some indicators, such as whether the animal is small or large, whether its fur is long or short and whether it was tamed to be a pet or to do hunting. For instance, if you own a large dog breed, you may want to take into consideration your pet’s recommended leisure, such as the time it needs to spend outdoors and its inclination for physical activities. In this case, a good dog product would maybe have to fulfill the role of making running more fun. At the same time, if you own a small dog breed, you may want to focus on more static, yet equally demanding endeavors, such as purchasing toys that your pet can play with. It has been scientifically proven that smaller dog breeds tend to be more anxious, and toys help them relieve stress, while larger dog breeds just need physical activities to stay in shape. Depending on how old your pet is, you may want to consider different types of products. From the cleaning ones to the food, toys, and gadgets, everything can vary when it comes to your animal’s needs. A puppy would more likely require a larger number of toys to play with, while a very old animal would rather need a comfortable bed that can prevent it from developing different health conditions such as arthritis. For instance, when it comes to toys, it is recommended for owners to give their younger pets rubber toys, which are proven to be excellent during and after the training period. These toys allow the animals to learn a reward system more easily, while also making them feel safer, due to the physical consistency of the fabric the toys are made of. While there is a stereotype suggesting that older pets don’t have the same interest in playing, this is false in most of the cases. Older dogs do like to play, but their physical activities are a little different compared to their younger peers. This means that, most probably, the products that an owner purchases for such a dog should also be different. With the boom of this market segment comes the owner’s chance to focus on age-specific products. There are special rubber toys created for old dogs, made from a different and more elastic type of rubber, which prevents teeth, gums, and jaws from being injured during playtime. Additionally, older dogs also need special food treatments, as their stomachs are not as strong as they used to be. Food that is easy on the stomach is especially helpful in the case of very old animals, whose digestion may have been affected by age. Moreover, special food ensures teeth and cavity protection, as most of the older animals tend to have oral problems toward the end of their lives. The debate on whether branded toys, food and accessories are better than the no-names is also relevant when it comes to your pet. If we’re talking about food, clearly some of the most specialized producers will offer a better nutritional value for the dog food compared to the ones who don’t base their recipes on research. However, if we’re talking about toys and accessories, most of the products out there can be judged from a more relevant criterion, that is most important than their producer, namely the fabric and overall quality of the item you’re purchasing. Of course, the discussion can vary depending on the kind of item that you wish to buy for your pet, but in most of the situations, the quality of the product is relevant. Here, you should determine whether the item will resist through time (which can result in a more pricey option), how well it was manufactured and whether parts of it can be mistakenly ingested. Although there is no universal recipe, every dog owner should pay extra attention to these three generic criteria. Solid research is always the way to go if you have your pet’s best interest in mind.